vermiculite_packaging_loft_attic_insulation Buy Vermiculite for Packaging, Attic and Loft Insulation direct from Indigo. Call 01268 768 768 now. Call 01268 768 768 to buy your Premium Grade Vermiculite from Indigo! We will beat ANY UK price! Highest Quality, Lowest Price! 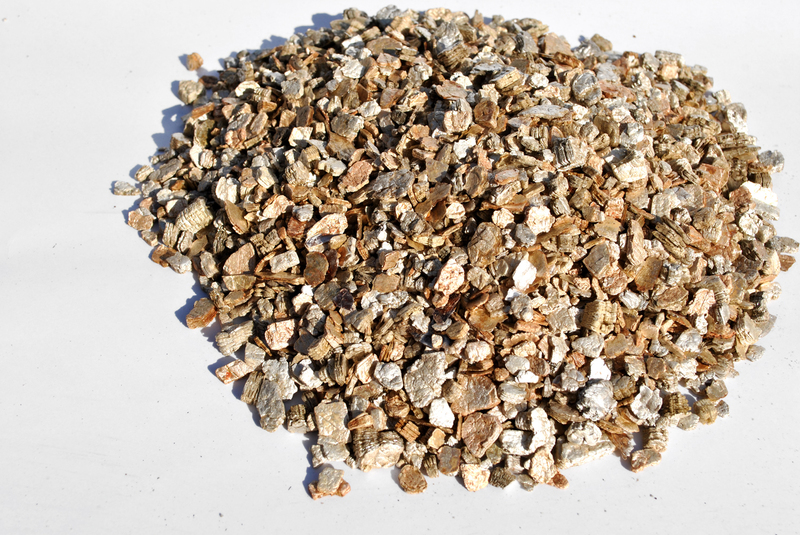 Vermiculite has a ton of qualities and uses, Fire Retardant, Highly Absorbant, 100% Natural. Ideal for Packaging, Loft and Attic Insualtion, General Insualtion, Gardening and much more. Call 01268 768 768 Now. When packaging dangerous goods, it is required that the packaging materials meet a number of important criteria. Also, depending on the exact nature of the goods to be transported, it is required that the packaging materials to be used, be fire-retardant, be able to absorb spills, cushion against impact, or have all three qualities. It also shouldn’t react chemically and as well should be 100% safe to handle and use. It should also be lightweight on transit so that transporting boxes wouldn’t be any more difficult or expensive than it strictly needs to be. Now with all the above qualities, there aren't many materials that can meet all of them. For example, plastics do not don't absorb liquids very well while paper products can easily catch fire. Vermiculite is a natural exfoliated hydrous phyllosilicate mineral is bound to organic materials like Peat or composted pine bark in order to produce a soilless growing media. It is a naturally occurring, completely inert mineral with superior resistance to problems that occur in other forms of packaging materials. It is often placed in potting soil to help enhance the growth of the potted plant by boosting aeration for the plant as well as encourage water drainage. This soilless mixture promotes faster root growth and quick support for growing plants. It works well for hydroponic gardeners/farmers. Vermiculite is made from aluminum-iron-magnesium-silicates and consists of thin, flat flakes and is sold in 100 liter (3.5 cubic ft) bags of lightweight chips as a great alternative to polystyrene chips. In nature, vermiculite is formed by weathering or hydrothermal alteration of biotite or phlogopite. An almost pure form of it is gotten from extraction on a large scale in several parts of the world after rock and other impurities has been removed from the crude ore before being crushed and sorted into sizes. On physical observation, this mineral looks like specks of grey and can easily contain large quantities of air and water. When heated sufficiently in commercial furnaces, it undergoes significant expansion causing it to exfoliate. Unlike perlite, vermiculite adds a plethora of nutrients to the potted plant, including calcium, magnesium, and potassium and periodically, these nutrients with water, and air present in it are released to the potted plant. This mineral is non-toxic and when properly extracted even in large scale, comes out as completely clean. It is also permanent and sterile, which means that it will not become moldy, rot, or deteriorate. Nurserymen often combine vermiculite with compost and peat to promote root growth in potted plants or seedlings in the nursery. Because it provides excellent anchorage for younger roots, vermiculite is also favored in the square foot gardening system. Also, in some cases, it is possible to use vermiculite to cover new seeds in either pots or trays to protect them from the elements. The seeds will manage to push their way to the top as they grow. The seeds can also leech nutrients from the vermiculite, a process that consequently boosts growth. Unlike asbestos, which has a completely different structure and is a completely different mineral, pure vermiculite can be safely handled by humans. What then are the common features and benefits that come from using vermiculite either as a packaging material or for other purposes. Vermiculite acts as a lightweight, non-abrasive packaging material that provides highly absorbent cushioning while being simple to handle. Its inability to neither rot nor catch fire even at extremely high temperatures just like asbestos making it suitable in packaging and shipping liquids which have flammable properties, hazardous/ dangerous goods or waste and several sensitive industrial products, which have a tendency to leak. It does not emit odors, toxic fumes, or attract vermin. It also protect against improper handling as well as impact shock as it absorbs minor shocks and prevents breakage. Because of its high insulation value and acoustic-insulating properties, it can be used for cleaning up spills as it absorbs liquids even if they are chemical in nature, pollutants or control dangerous substances in laboratories. When used in potted plants, it improves soil structure through increased soil aeration, increases water and nutrient retention and serves as an excellent addition to flower arrangements as it helps to keep the cuttings fresh. Vermiculite helps to encourage seed germination and improve soil structure as a result of its aeration and water-holding properties. Vermiculite doesn’t decay nor break down, which makes it reusable or recyclable, safe to use and exhibits excellent material properties making it ideal for hazardous material packaging. It easily pours around irregular shaped products, and provides great cushioning. Being environment-friendly, vermiculite packing material contains no man-made fibers. Vermiculites are used to make molded shapes through a process that involves mixing exfoliated vermiculite with various inorganic bonding agents such as sodium silicate and potassium to produce an earth damp mixture. This material is then further hydraulically pressed into shape in a mould, before being heat cured at temperatures up to 180 °C for up to 24 hours depending upon the thickness of the molded part. Such molded parts can withstand temperatures of up to 1150 °C. As acoustic panels, Vermiculite serves as a great sound insulator. When poured into the cavities of block cores or in cavity wall areas, it serves as one of the easiest means of providing a barrier against the transmission of heat, sound, and moisture. As loose-fill insulation. coarse grades of exfoliated vermiculite can be used to insulate lofts. In addition, when used as a loose-fill product, it fills the cavities completely, without leaving gaps or openings or bridging. It is also used in insulating concretes and in AGA cookers as insulation in order to maintain high temperatures. Vermiculite can be used in storing bulbs and root crops. With its absorptive power, vermiculite acts as a regulator that helps to prevent mildew and moisture fluctuation during the storage period, thus preventing storage rot and increasing the life span of the product. As a soil conditioner, in places where the soil is too heavy, gentle mixing of vermiculite up to one-half the volume of the soil will condition the soil. Expanded vermiculite when combined with other materials such as peat or compost produces a soil free growing media commonly used by the professional or home gardeners. A soil free growing media helps promote faster root growth and gives quick anchorage to young roots or seedlings. It also helps retain air, plant food and moisture, and releases them as the plant requires them during its growth. Owing to its thermal resistance even at extreme temperatures, it can be used in brake linings, as well as in commercial hand warmers. Vermiculite is sometimes used in gas fireplaces to simulate embers, open fireplaces, fireproofing of steel and pipes or as an additive to fireproof wallboard. Vermiculite can serve as a substrate for various animals kept in captivity and can be used as a sterile medium for the incubation of reptile eggs. It is widely used by snake and lizard breeders after the eggs from the parents have been removed for incubation. Vermiculite is often used to filter or absorb hazardous liquids for solid disposal such as fuel spills at road traffic accidents, chemicals from laboratory experiment spillages etc. Its most common purpose is as a packing material owing to its impact absorbing properties. We firmly believe that packing with vermiculite is the best option for transporting many classes of dangerous or highly sensitive goods. Whether you're most concerned about the possibility of a spill or leakage, damage to your very delicate or sensitive item, or the probable danger of ignition on impact during transit or handling, vermiculite can help put your mind at ease (and at the same time, meet the shipping regulations required for transporting dangerous goods!). It's a very simple solution but a highly effective one. You can find vermiculite packing material on our website where we sell 1kg or 100 litre bags for those with bigger needs. When combined with our 4GV packaging, it works perfectly to give you what you need it for. While you'll need to purchase the vermiculite to be placed inside these boxes separately, when you buy from us, the plastic liners included in the multipacks will help you to keep your goods where it needs to be so that putting the solution together is quick and easy. Vermiculite is safe to use. It is mined and used today under the strict protocols followed by the industry. It is a U.N.-approved packing material for some hazardous liquid, in the commercial shipping industry. Great care is taken when mining this mineral in order to reduce the impact on the environment, as well as restore the mined land back to its original and natural state once the project is complete. Our expanded vermiculite is a natural inorganic material that serves an excellent packaging material void fill with cushioning qualities suitable for your different packaging needs but especially made for the transport of dangerous goods due to its high absorbency and resistance to chemicals during transit giving you an ideal loose fill packaging solution. This void fill is resistant to chemicals, absorbs leaks from packed materials, and since it does not pose any potential fire hazards it provides an extremely safe means to ship products Being fireproof with good insulation from shocks that may be caused by improper handling or impact, this packaging material is right for your goods as it conforms to rail, airfreight and road requirements. Given that it is superb as loose fill packaging and can easily be poured around objects with irregular shapes, vermiculite can be used to make molded shapes ensuring a clean and lightweight finished product. Save your goods from damage caused by knocks or bad handling by using our expanded vermiculite void fill that is an excellent shock-absorber, offering good insulation and therefore ideal to use when transporting delicate or dangerous goods. The vermiculite products we sell are labeled as “asbestos-free.” Our vermiculite products and uses have a successful history, and there is no evidence that any acute or chronic toxicity or carcinogenicity exists from long-term exposure to vermiculite. It is supplied in bags of 100L 100 Litres (3.5 cubic feet), vermiculite degrades naturally too, in order to be easy to dispose of if you do not want to recycle or reuse it. Use vermiculite as a clean, light cushioning material in conjunction with one of our warning tapes to seal your cartons, and help prevent/ avoid the risk of damage while your goods are being shipped or stored. Loose fill packaging peanuts with vermiculite are easy to apply and can be used to fill packages so that the items being shipped are secured and protected from damage. Vermiculite is a safe and excellent product to use for shipping. It is lightweight, extremely absorbent, and very versatile. It is an essential part of “Variation Packing” for hazardous material/dangerous goods shipping combined with 4GV packaging and is a U.N. approved packing material for some hazardous liquids. Buy Vermiculite direct from us today and enjoy our price beater guarantee!!! Call 01268 768 768 Now.